1/08/2018�� Japanese: �The hiragana syllable ? (ha). Its equivalent in katakana is ? (ha). It is the twenty-sixth syllable in the gojuon order; its position is ???? (ha-gyo a-dan, �row ha, section a�).��a particle that acts as a topic marker ???? (??)??? Kore wa inu desu. This [the topic, about which we �... 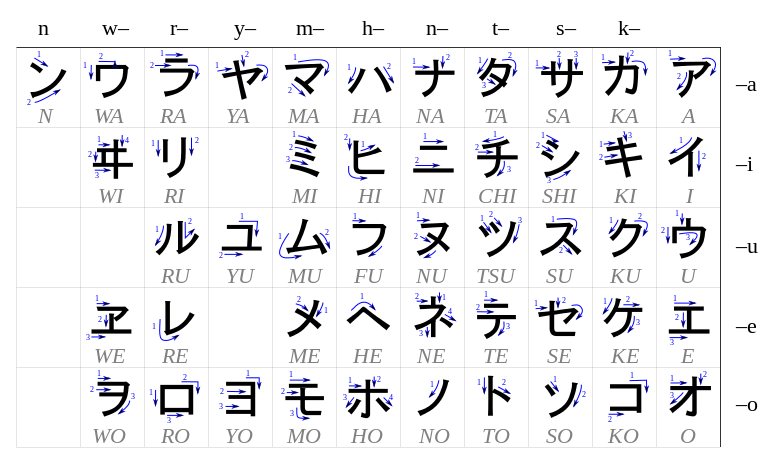 In the table below you can see all base hiragana characters. Once you know all of them, you will be able to write all hiragana sounds. We will show this table in all hiragana lessons and highlight the characters you have learned so far. wa (written as a hiragana �ha�) makes the proceeding word/s the subject of the sentence. ie. �Watashi wa Keito desu� (I am Kate), or �Toshokan wa asoko desu� (The library is over there), or �Kono subarashii hana wa nan to iimasu ka?� (What are these wonderful flowers called?) So in the first example, the subject was �I/me�, in the second, �(The) Library� and in the... 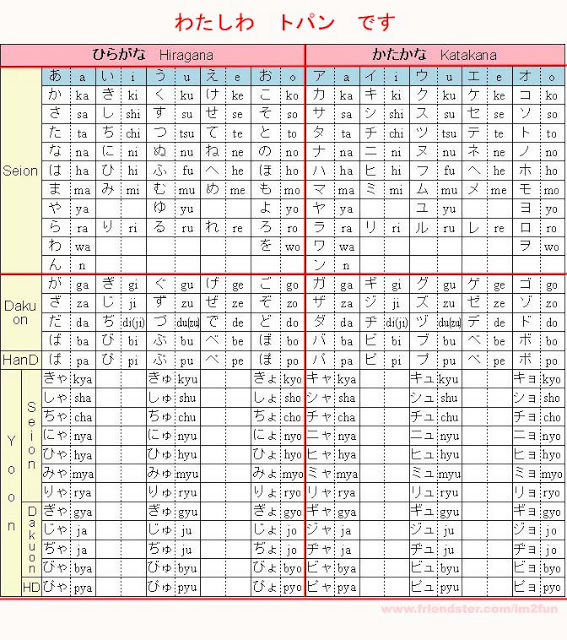 In the table below you can see all base hiragana characters. Once you know all of them, you will be able to write all hiragana sounds. We will show this table in all hiragana lessons and highlight the characters you have learned so far. Learn how to write the hiragana character for "ha" in this simple lesson. Please remember, it is important to follow the stroke order when writing Japanese characters. Learning the proper stroke order is also a great way to help you to remember how to draw the character. The particle wa has various roles in a sentence. You should learn it step by step. You should learn it step by step. Put simply, Desu corresponds to the English, "is/are/am." Hiragana is one of two Japanese alphabets, so how does one learn it? Easy! (more or less) � with a bit of practice reading manga or childrens books (they use a lot of hiragana and only a few kanji. 21/05/2010�� It is written in hiragana and kanji (unfortunately my computer doesn't support Japanese characters, so I can't write it for you). I know you Americans learn katakana first (no idea why), but you shouldn't get used to write everything in katakana, because it is wrong.